​Liisa Husu, expert in studies of gender equality in academia, gives a guest lecture on 27 February. “She will doubtless bring new insights”, says Pernilla Wittung Stafshede. ​ Liisa Husu is one of the pioneers in the study of gender equality in academia. She has focused particularly on gender dynamics and inequality in scientific careers and organizations, and in science policy. Liisa Husu is Professor of Gender Studies at Örebro University. On 27 February, she visits Chalmers for a guest lecture on gender challenges in academic careers and organizations. The seminar is intended for all Chalmers employees, particularly for graduate students, postdocs and faculty. “She will doubtless bring new insights. I hope the audience will get a better understanding of gender challenges in academia and learn more scientific facts about it. Maybe the seminar will be an eye-opener for some. I personally hope we will get suggestions for how to approach this issue at Chalmers,” says Pernilla Wittung Stafshede, leader of Genie, Chalmers gender initiative for excellence. 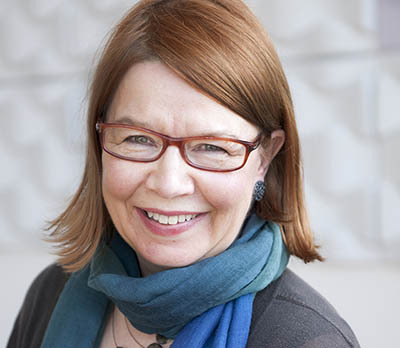 “Liisa Husu’s expertise in gender equality in higher education and her international experience and contacts led us to ask her to join Genie’s advisory board. Now, we want to make her knowledge available to the whole of Chalmers in a lecture that is open to all,” says Pernilla Wittung Stafshede. Liisa Husu does research on topics such as gender paradoxes in changing academic and scientific organization. Her perspective is that of a highly experienced researcher in gender equality in science. Liisa Husu has done extensive work as adviser to universities, funding agencies and governments. She was the national coordinator of women’s studies and senior adviser in the Finnish gender equality machinery, Council for Equality between Women and Men and Equality Ombudsman’s Office, at the Prime Minister’s office in her native Finland. She was also a member of the Swedish Ministry of Education advisory group on gender in European research policy in 2017, and is the moderator of the European Network on Gender Equality in Higher Education. “If you care about gender equality at Chalmers, come! I hope every head of department will attend the seminar and bring their faculty and students with them”, concludes Pernilla Wittung Stafshede. The seminar takes place in Palmstedtsalen, Campus Johanneberg on 27 February at 13:15. It is hosted by Genie together with Chalmers Energy and Transport Areas of Advance. Published: Thu 31 Jan 2019.